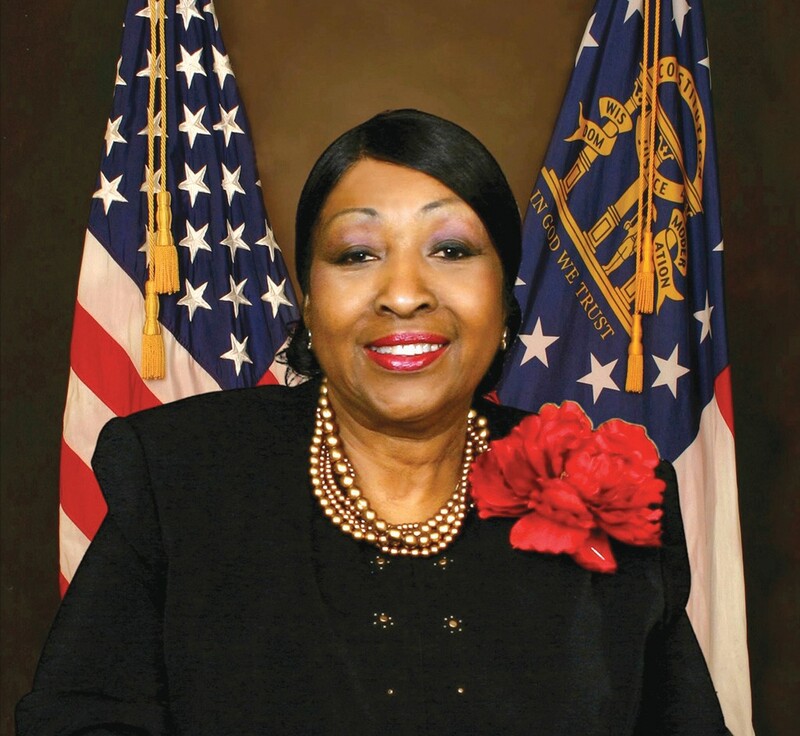 Mayor Edna B. Jackson was installed as the 3rd Vice President of the Georgia Municipal Association on Monday at the organization’s Annual Conference, held June 22-25 at the Savannah International Trade and Convention Center. Created in 1933, the GMA is the only state organization that represents municipal governments in Georgia. GMA’s membership currently totals 512 municipal governments, accounting for more than 99% of the state’s municipal population. A 63- member Board of Directors, composed of city officials, governs GMA. As the 3rd Vice President, Mayor Jackson is in line to become President in 2016, which would make her the seventh elected official from Savannah to serve as GMA President in the organization’s 80-year history. Jackson has served on the GMA Board of Directors, and is former President of the National League of Cities Women in Municipal Government. Vienna Mayor Pro- Tem Beth English was elected President of the GMA on Monday.